Parcours Vario II are a boot inspired by specialist knowledge of walking and the fruit of two years' research and development. We are very excited to be one of the first retailers offering the brand new "Parcours 2 Anti-Fatigue Boot". The Parcours boot first launched in 1996 has become synonymous with the Aigle brand, and for 2012 they have decided to take it to the next step! The new Parcours has been created to support the roll of the foot. Its sole limits the impact on the heel, optimising movement which becomes lighter and less tiring. Technical trials carried out in a laboratory (independent laboratory at the Centre Technique de Cuir (CTC, Technical Centre for Leather) have demonstrated its performance: twice the energy absorption capacity of the European standard and twice the grip of the original Parcours. 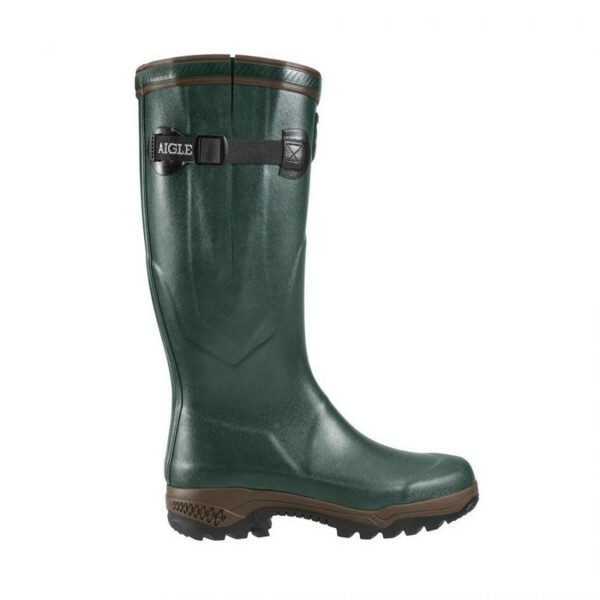 The physical appearance of the boot is very similar to the original with a few subtle changes to the overall styling to make an attractive alternative.